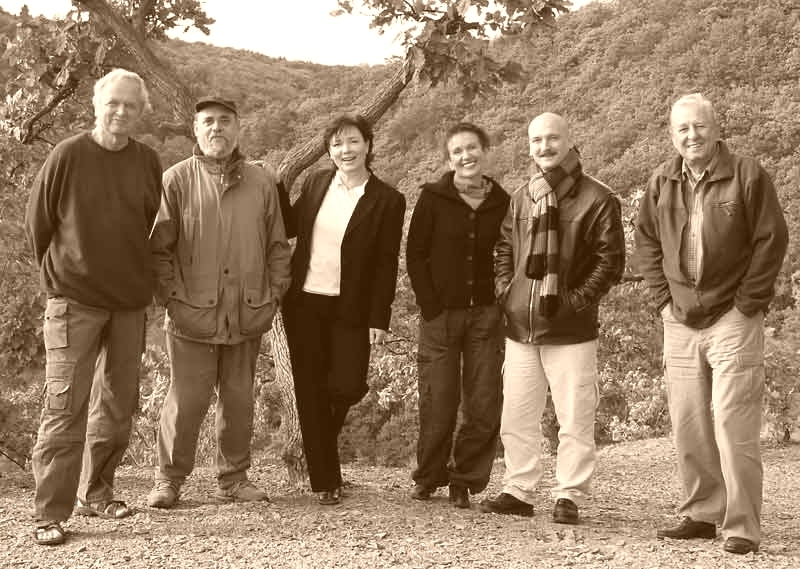 This music band was established in autumn time in 1960 by four members of Academy of Music and Dramatic Art, mainly by initiative of Ivo Mach, nick name Dědek (Granfather). It was man quartet. 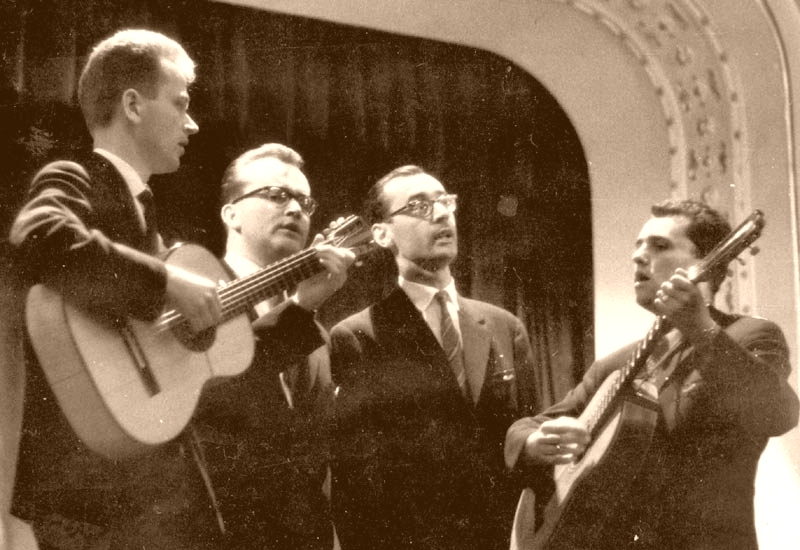 Members were Miroslav Keller (tenor – nick Velký Bubo (Great Bubo)), Miloslav Kastelovič (barytone – nick Kagan, or Malý Bubo (Small Bubo)) and Jiří Tichota (usually bandmaster – nick Tichák). The first public presentation came after 2 years, on International Jazz Festival in Karlovy Vary. 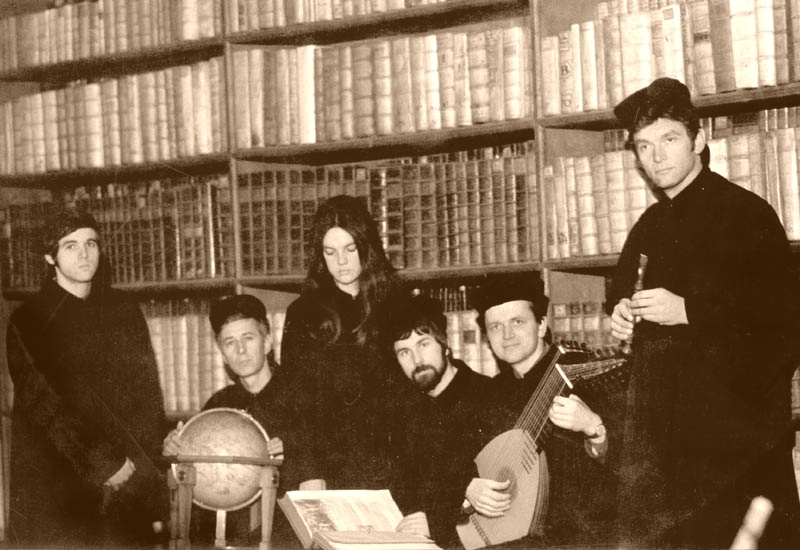 The name was Spiritual Kvartet and this band was the first folk music band in Czechoslovakia. In that time, the word “folk” was unknown in this area. That’s why they present themselves on jazz concerts, usually with band Junior Trio, S+H Quintet or Tradiotional Jazz Studio P. Smetáčka. With last band they recorded some albums for recording studio Supraphon. It was so long time ago, when they had listened american legend music band The Weavers. From that time, they wanted to be like them. After Věra Nerušilováwho was also a member of band Incognito Kvartet, Růženka Helebrantová (nick Odetta) came in and from that time here is Kvintet. Later the band had more members, but the name didn’t change more. From 1964 Spiritual Kvintet had periodic program in Theathe Na Zábradlí. 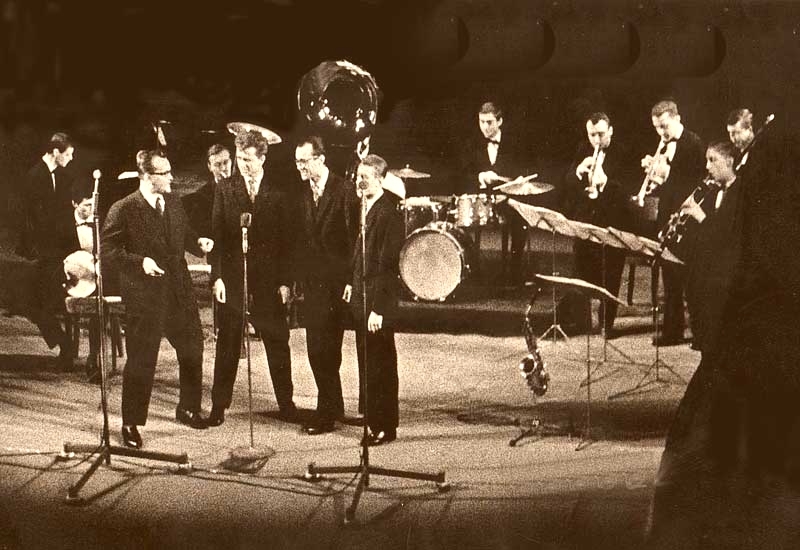 In 1967 two members Mach and Keller leaved band (they went on long-term business trip abroad). Next year (in August) Růženka emigrated to Swiss. Everybody thought this would be end of this band but it didn’t. 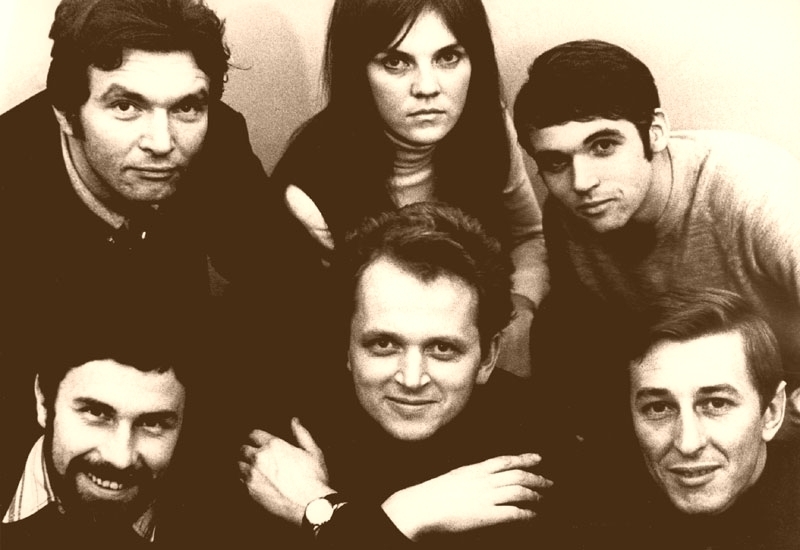 In 1969 came Karel Zich and Jarka Hadrabová. 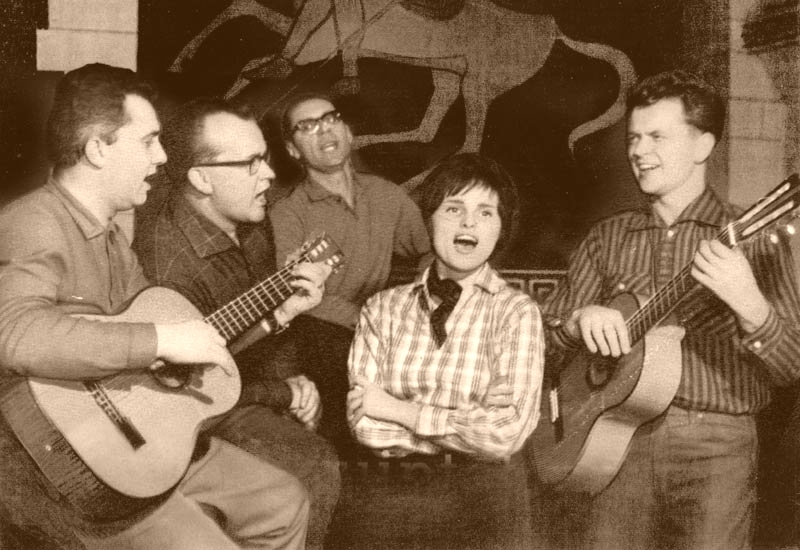 The band showed also with Olda Ortinský Dušan Vančura and Honza Thorovský (he substituded Kagan who returned to Slovakia). This membership existed only 4 years, but during this period the band wined recognition on country and folk festivals (Porta 70, Golden Tele 71). Also they changed scene to Theatre Atelier. 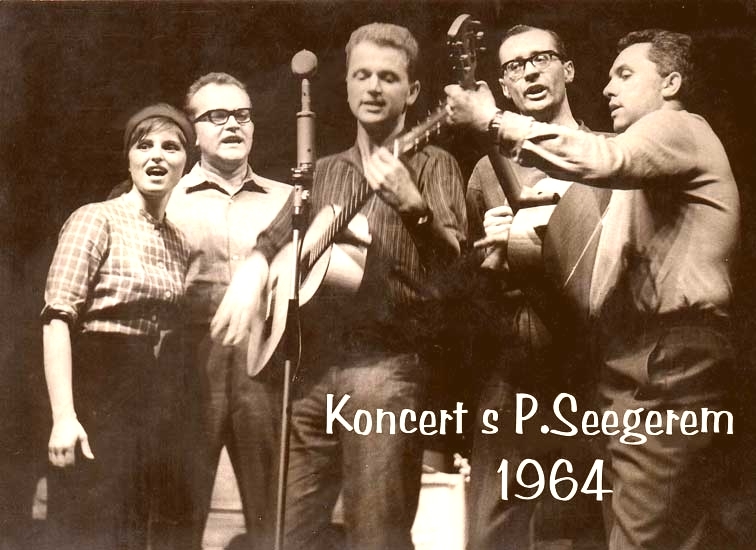 They released their first albums in czech Písně amerického západu and Písničky z roku dva. As I said more times (try to see Rangers, Taxmeni, Greenhorns, Fešáci), came normalization and everything pertinated with it. Club were closed, some students had to leave Faculty, band had to finished its activities. Fortunately only for shot time. This entry was posted in Czech, Folk, Legends, Music Bands and tagged S, Spiritual Kvintet. Bookmark the permalink.